Discover an elegant oasis in the Garden of England at Tudor Park Marriott Hotel & Country Club. With excellent amenities and spectacular grounds, Tudor Park offers a versatile, sophisticated location for your wedding. The venue is licensed for ceremonies and there is an option to hold your wedding in the outdoor gazebo in fine weather. The venue also offers customized catering, on-site accommodation for you and your guests as well as spa and leisure facilities. The Spa Hotel is a beautifully refurbished 18th Century mansion hotel set on the edge of Tunbridge Wells and nestled within 14 acres of stunning grounds. The Hotel is licensed for ceremonies and offers a selection of elegant suites, suitable for both small, intimate affairs as well as large, lavish celebrations. The local rustic and Kent wedding fair is perfect for all Kent and East Sussex couples wanting inspiration and help planning their perfect outdoor 'barn farm' rustic styled wedding. Get a chance to speak to a wonderful array of friendly local Kent vendors - Including photographers, cake makers, florists, jewellery, lighting, hair stylists, celebrants, favours + more. Enclosed by acre upon acre of green hillside and nestled alongside a charming Tudor village between the Medway and the Eden rivers, Penshurst Place is truly a unique wedding destination. Eleven acres of beautiful formal gardens surround the historic house creating a botanical crown befitting of the location. If you're looking to host your wedding at Penshurst Place or in Kent, this will be the perfect opportunity for you to meet 40+ local wedding suppliers and experts to help you plan your perfect wedding day. Take your time to discuss your wedding plans with the area's finest wedding suppliers, ready to help and advise, to make your wedding day as special as possible. All Wedding Fairs are free entry with goody bag, also you enter into a prize draw. Kent's most popular series of wedding shows brings together 50 creative and inspirational suppliers for you to meet at The Hilton Hotel in Maidstone. Also featuring BRIDALWEAR SALE with changing areas to try and buy on the day. Do not miss this massive summer wedding event in Canterbury where there will be up to 80 local exhibitors on hand to discuss your big day with you. Live music, magical performances, on the day demos and your chance to speak to lots of knowledgeable wedding supplies about your plans for the big day. You will get a free goody bag along with your free entry and also go in to the draw to win a fabulous prize - something on offer at all of our fairs. Whatever your plans for the day make sure you take time out to pop in. We are the original local wedding fair company and have a long list of fantastic, professional and trusted local suppliers who will enhance your wedding day! Do not miss this massive summer wedding event in Canterbury where there will be 60 local exhibitors on hand to discuss your big day with you. This Summer event will have live outdoor music, samples of cake, cocktails, prosecco and so much more. You will get a free goody bag along with your free entry and also go in to the draw to win a fabulous prize - something on offer at all of our fairs. Whatever your plans for the day make sure you take time out to pop in. We are the original local wedding fair company and have a long list of fantastic, professional and trusted local suppliers who will enhance your wedding day! Kent's most popular series of wedding shows brings together 50 creative and inspirational suppliers for you to meet at The Hilton Hotel in Maidstone. Whether you are planning an intimate gathering or large and lavish celebration, Hilton Maidstone can help you make it a day to remember. Come and view the facilities this venue has to offer for weddings. The Wedding Experience brings together a fabulous range of creative and inspirational suppliers covering all aspects of planning a wedding. Free showguide, magazines and goody bag for all couples. Admission is free and ample parking. Open Bank Holiday Monday from 10.30am to 3.00pm. A stunning decorated venue to view and 30+ suppliers ready to discuss your big day, offer advice and provide special on the day promotions. View the magnificent chapel and the beautiful rooms of this glorious building. You will get a free goody bag along with your free entry and also go in to the draw to win a fabulous prize - something on offer at all of our fairs. Whatever your plans for the day make sure you take time out to pop in. Wonderful wedding showcase at a great venue with beautiful grounds and views. 25-30 local exhibitors are ready to discuss your big day with you, offer advice and special on the day promotions. You will get a free goody bag along with your free entry and also go in to the draw to win a fabulous prize - something on offer at all of our fairs. Whatever your plans for the day make sure you take time out to pop in. Such a hidden gem of a venue with stunning grounds. You have to see it to believe it! Approx 30 suppliers will be on hand to discuss your big day with you, offer advice and give special on the day promotions. 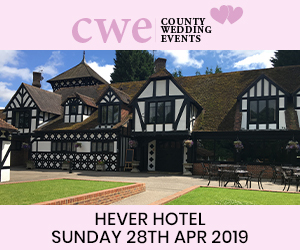 You will get a free goody bag along with your free entry and also go in to the draw to win a fabulous luxury spa day for two including afternoon tea - something on offer at all of our fairs. Whatever your plans for the day make sure you take time out to pop in. 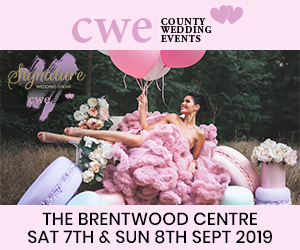 Free admission with complimentary goody bag and bridal magazines for every couple, plus all couples that attend the event will be entered into a luxury free prize draw. Kent's most popular series of wedding shows brings together over 80 creative and inspirational suppliers for you to meet at The Hop Farm. The Hop Farm is a unique wedding venue right in the heart of the Kent countryside. Come and discover the magnificent surroundings and view all the facilities the venue has to offer for weddings. The Wedding Experience brings together a fabulous range of creative and inspirational suppliers covering all aspects of planning a wedding. Free showguide, magazines and bridal bag for all couples. Admission free and ample parking..
Kent's largest wedding show offering a fabulous wedding shopping experience with free goody bag, showguide, wedding magazines and an abundance of suppliers' special show offers.